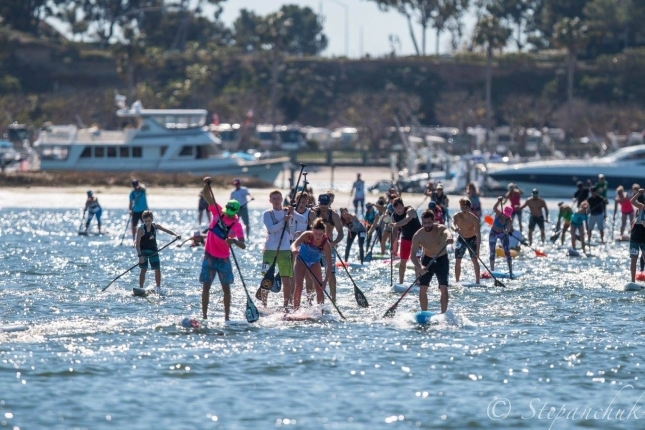 In brief: Danny Ching and Jade Howson have taken out the 2017 Hanohano Huki Ocean Challenge in San Diego’s Mission Bay. As you can see, there are waves in Carolina. The 2-3ft swell certainly caused a bit of chaos (and at least one particularly memorable photo), adding one more element to a race that was already well and truly living up to its name. 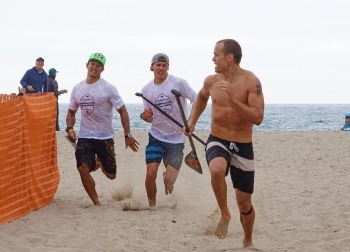 In brief: Chase Kosterlitz and Danny Ching have earned victories at the Hal Rosoff Classic in Newport Beach, California, as over 150 paddlers came out for the 20th annual edition of this SoCal stalwart event. Other standout performers included Danny’s 404 team mate Ryland Hart, Chuck Glynn and Anthony Vela. Distance race master and SUPAA founder Chase Kosterlitz has just signed with JP Australia, as the orange & grey brand looks to cement a solid international race team. The Payette River Games may have been put on ice for now, but the memories will last a lifetime. 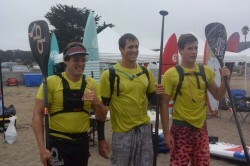 The 2015 event was a classic, and now you can relive the event with this great recap from Quickblade Paddles. Now here’s a different race recap video for you. Watch Chase Kosterlitz tell the story of his weekend up at Race The Lake of the Sky, his last race before wife Sarah gives birth to their first child (and one he performed pretty solidly in). 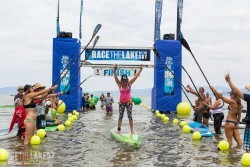 Last weekend saw one of the biggest and most beloved races in America light up South Lake Tahoe: The 2015 edition of Race The Lake of the Sky. Hands up who wants to be a faster and stronger stand up paddler? Stupid question, right? 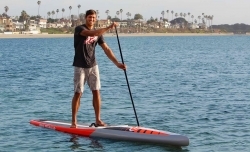 But while the answer is obvious, how many of us actually focus on our SUP training? The training we need in order to become better paddlers and competitors. 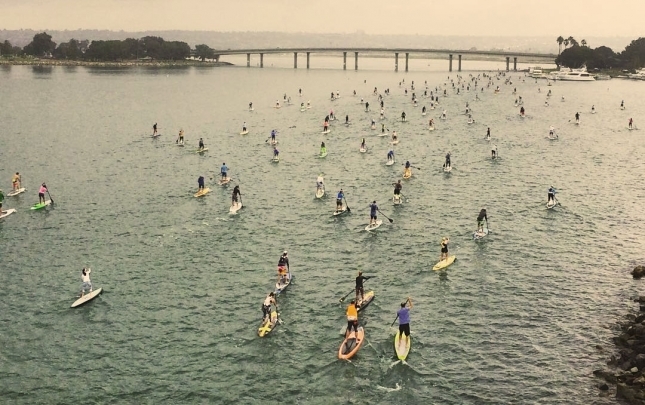 Results are in from today’s massive Hanohano Huki Ocean Challenge race down in Mission Bay, San Diego. The Hanohano race, now in its 19th year, is one of the real gems on the racing calendar and always draws a big crowd. 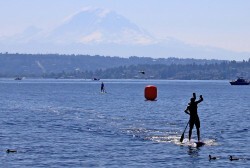 This event seems much more about having fun and getting out on the water than any kind of serious elite competition. It’s one of those great community races that give our sport such a great foundation. 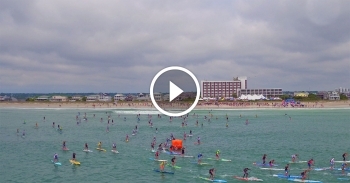 The 2014 WPA Paddle Championships is happening today at St. Pete Beach in Florida, with a couple of big names going for the cash and plenty of locals trying to keep up. Check out these awesome images from San Francisco’s Battle of the Bay, which went down on the weekend and enjoyed some pretty epic scenery as a backdrop. Here’s a fun little clip showing just how awesome it is when you get a good downwinder in the Gorge. Very film noir. 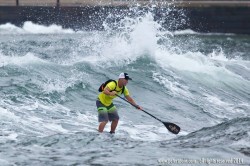 Chase Kosterlitz has won the SUP Salmon Classic in Washougal, Washington today.